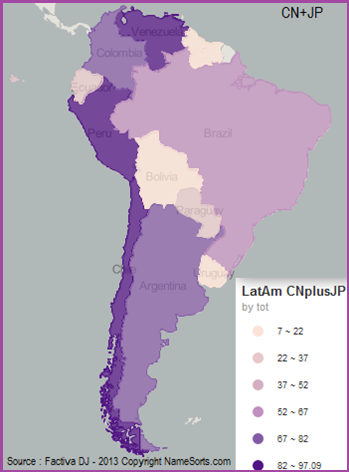 To continue our tour of global business communities, this week we present the onomastics mapping of Chinese and Japanese company directors in Latin America (except Mexico). 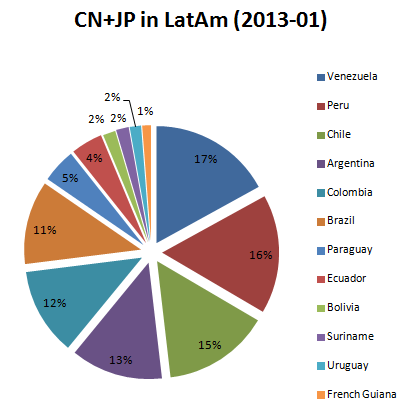 Our first map represents the overall number of Chinese and Japanese company directors, by country. Our second map shows where Chinese and Japanese businessmen are likely to settle down.